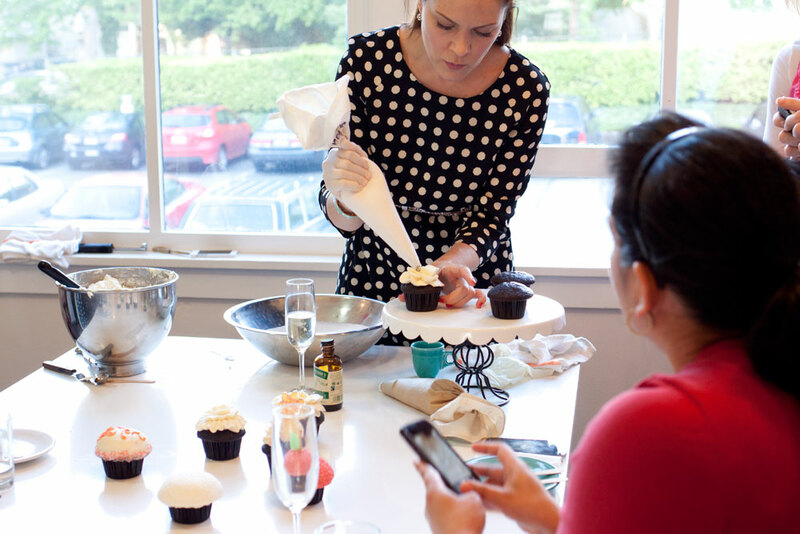 trophy cupcake decorating class with seattle bloggers / hello, rigby! last tuesday, i attended a fun blogger meet up organized by Lyndsey of Seattle Bloggers Unite at Trophy Cupcakes + Party in Wallingford. being the cupcake lover that i am, i immediately signed myself up. cupcakes? bloggers? learning to decorate? 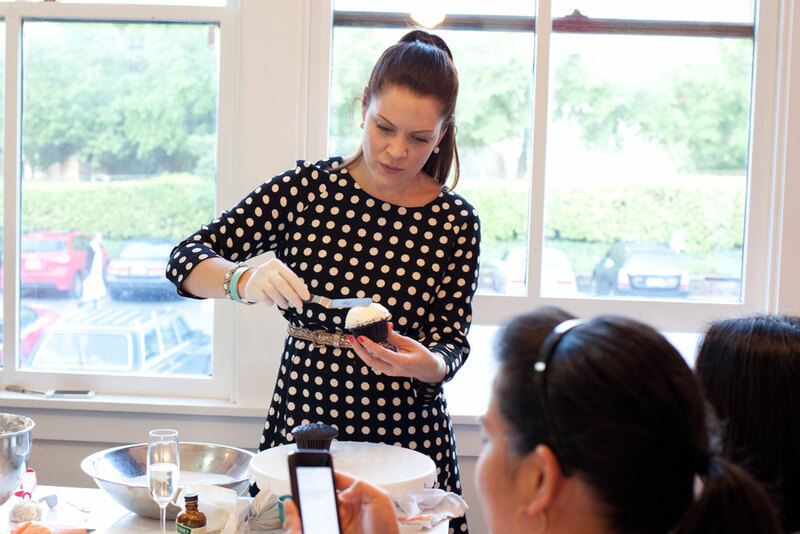 a Trophy cupcake decorating class sounds perfect! the space was too cute. loved all the touches like the turquoise Fiestaware and the fun ceiling decor. 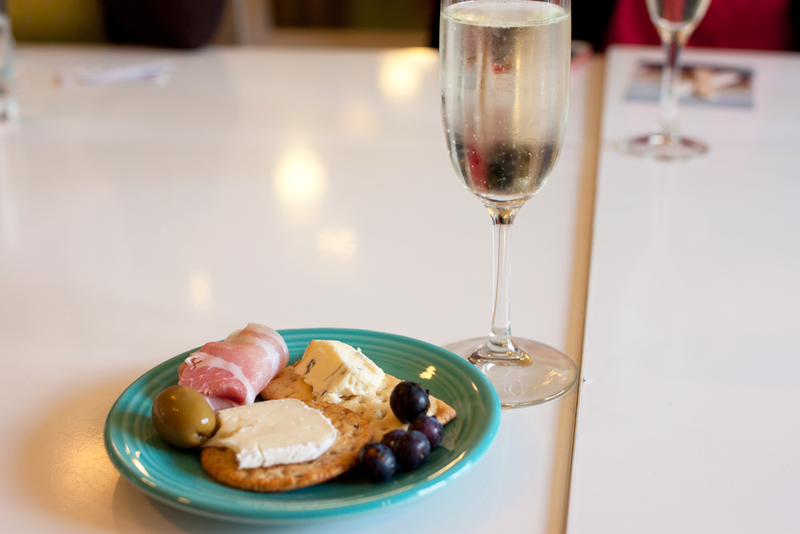 we started the evening off with snacks and sips of Prosecco. we had a few minutes to pass out blogger business cards, find out who blogs about what, and obsessively take photos of everything. you know, typical blogger stuff. 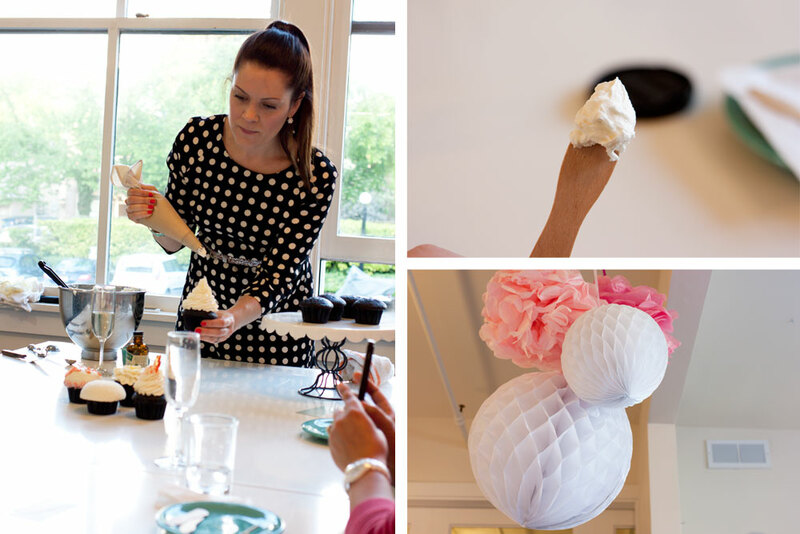 Jennifer Shea, owner of Trophy Cupcakes + Party and author of the book of the same name told us how she got her start. she was a merch girl with the band Sunny Day Real Estate (she was dating one of the boys in the band at the time) when she decided to leave it behind and open her own cupcake shop. after learning a bit of history about the shop, she walked us through 4 different frosting techniques with her famous buttercream frosting. the one above uses an offset spatula to kind of “free hand” frost. then we were set loose to try the frosting techniques on our own! 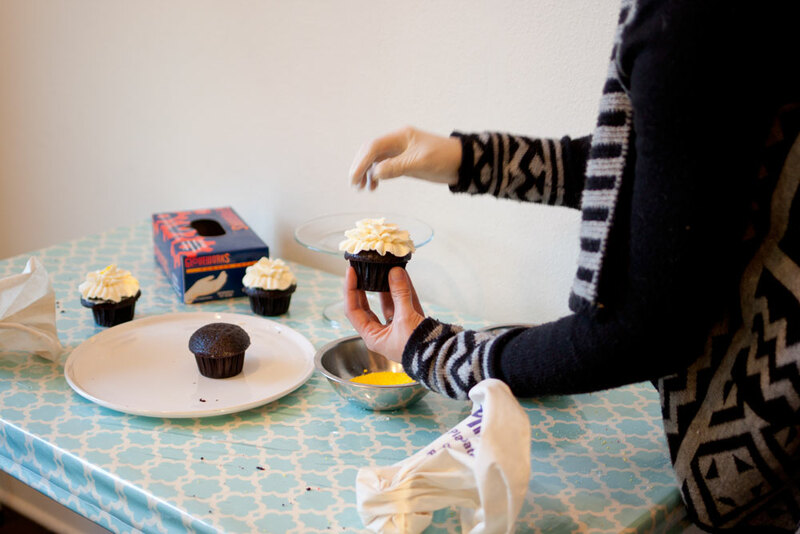 here’s Kate of Nearly Crafty with her hand piped cupcake, finishing it off with some fun sprinkles. …and my finished product! this was my first time ever using a piping bag, and i’m thrilled to be able to try out some new frosting techniques at home! Jennifer Shea’s book looked so fabulous that i made sure to pick up a copy so that i can try out all of her delicious recipes. if you’re ever in the Seattle area, i highly recommend stopping into one of her shops. 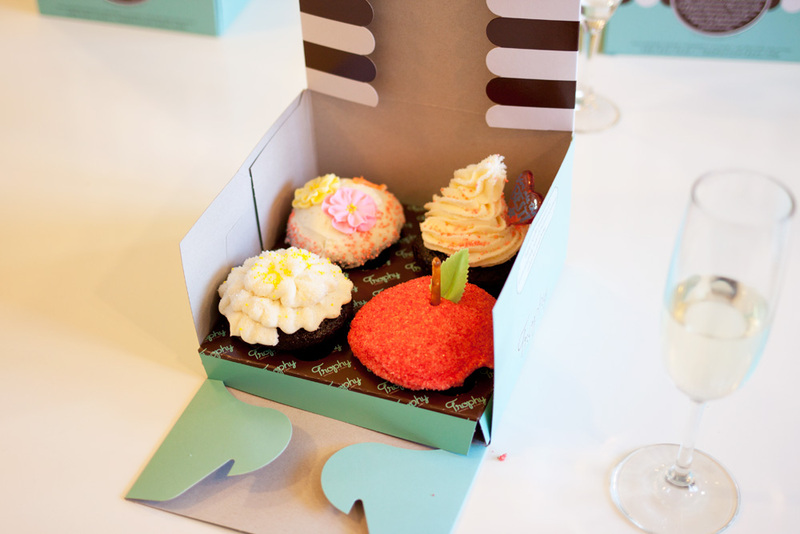 they are so cute, and the cupcakes are moist and fluffy. if you’re a peanut butter lover like me, the Peanut Butter Chocolate is ah-mazing. can i just fly to seattle, stay with you, and do this class for an entire weekend? and naturally eat all the cupcakes i can possibly fit in my mouth. this is my dream.